I'm one who loves to snack, but when trying to lose weight, it can be difficult to pick the right things. I usually go for a piece of fruit or very low calorie choices, instead of bits of chocolate here and there that I eventually just eat more of. With snacks such as Kind bars, I don't have to worry about it as much. They are healthy for you, taste wonderful and have very low sugar content. In fact, Yale-Griffin prevention research center states that having 2 a day helps prevent weight gain. 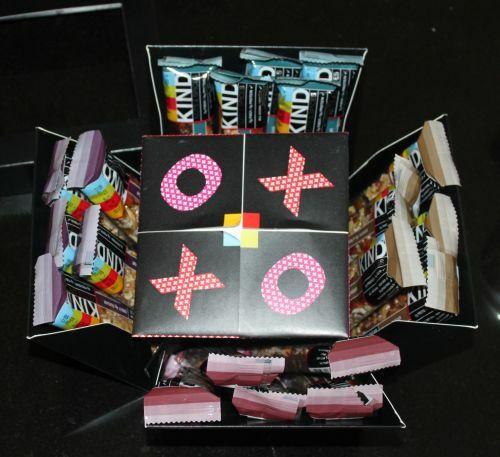 Kind Bars graciously provided me with their Valentine healthy indulgence cube, filled with 20 of their new Kind Nuts & Spices line of bars, in 4 yummy flavors. Why are these so healthy? Besides the great advantage of these healthy bars disguised as candy, look at this amazing Valentines Day packaging. It's definitely the most unique packaging design I've seen in a long time. This special design features the Old School fortune teller cookie we used to make out of paper 'back in the day'. Ok, I am now officially old having said that. If you don't know what I'm talking about then you're probably much younger and you're missing out. This stuff was fun and creative. It was better than Zynga games. Ok, maybe not better per say, but a different flavor of fun. 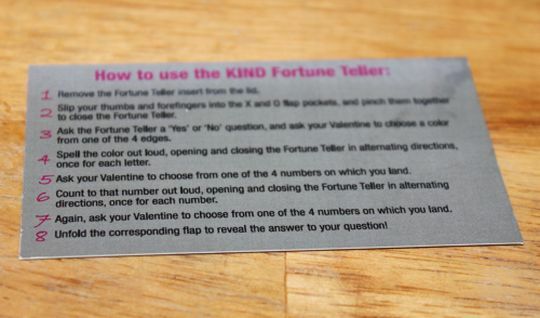 For those of you who don't know, here's how you use the fortune cookie teller! You can ask it questions and it has cute little answers for you, like the ones pictured below. Follow your heart for chocolate, just eat it in moderation and mix it with healthy ingredients. 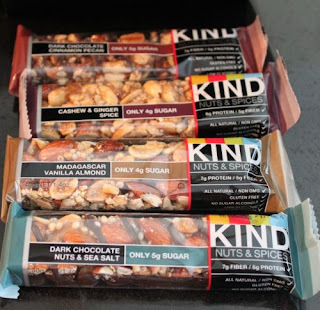 *I recommend giving kind bars a try in any of their many different flavors, as long you are not allergic to soy or peanuts, as they are processed around or in those ingredients. My favorite flavors of them all are the Dark Chocolate & Cinnamon pecan and the Madagascar Vanilla Almond, but I loved them all. They aren't too sweet. Just the right amount to get that sweet fix you crave and enough crunch to satisfy that craving as well. I love chewy and crunchy snacks more than soft snacks. It takes more work and makes you eat slower in the process, which makes it last longer. That is a great tool for losing weight. 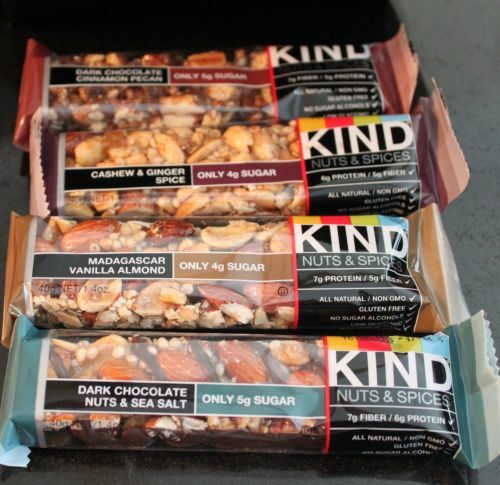 Kind bars has home delivery and you can buy them for 30% less than retail. Why not show your love to someone with the gift of healthier snacking this Valentines Day? To learn more, you can visit their website for promotions and other information. I'm so excited to announce that there will be a giveaway of this same exact pack for FIVE (5) LUCKY people!! 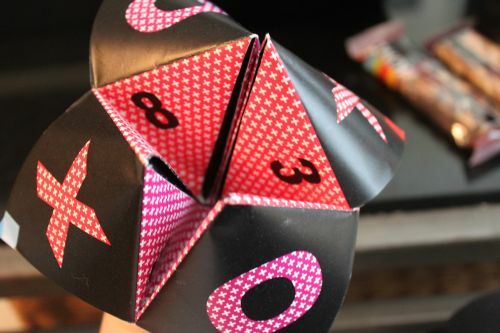 I don't know what I love more, the old school fortune teller game (that i don;t remember how to make) or those flavors. Either way, I want them all! Especially since I've never met a KIND bar I didn't love. This look great! love the fortune teller to! thanks! I love all the flavors you mentioned!! 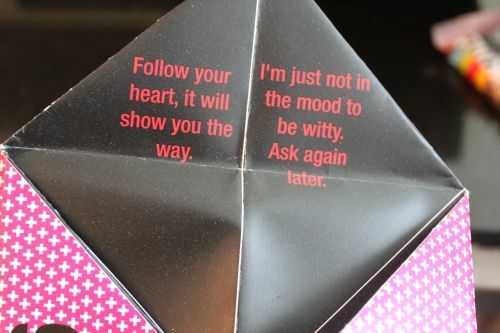 And I love the fortune teller thing too! I so want to try these. I am always on the lookout forfood that promotes good health. I don't think I've ever tried KIND bars.